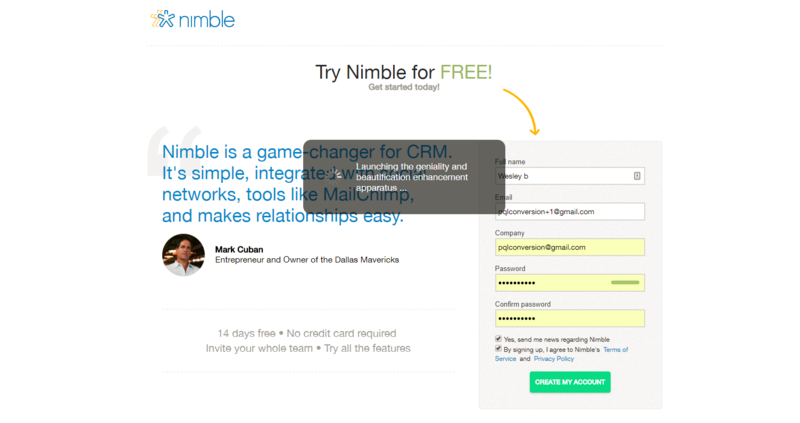 Before you can convert free users into paying customers, there’s one unspoken rule. You need do whatever it takes to help your users become badass in your product. Then you can optimize for conversions to your heart’s content, but please don’t skip the first step. For instance, if you were to eliminate several steps in your current onboarding flow without first knowing what it really takes for a user to become successful, you might end up hurting your conversion rate more than helping it. Now, if you’re still reading this, I’m going to assume you’ve got a firm handle on your onboarding must-haves. With that information in mind, I’m going to share with you an unbelievable framework from BJ Fogg that can help your users adopt literally any behavior. It’s powerful, but, lucky for us, simple. 1) Motivation – the general desire or willingness of someone to do something. 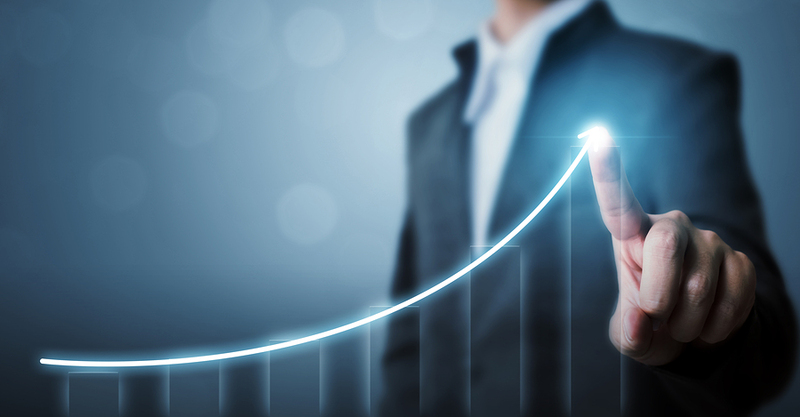 If you master these three factors, you’ll be able to do anything from adopting new habits to converting more users into customers. You’ll find that when a user experiences the key outcomes your product enables them to do, the most logical next step is them upgrading to a paid account. So you’ll get the “improve your free trial to paid” outcome you want, by focusing on the outcome they want. Win-win. For now, we’re going to focus on Motivation and User Experience, since they’re the foundation of adopting any new behavior. High motivation and a good UX alone are powerful enough to help anyone do what it takes to experience a key behavior, whether that be learning a new habit or creating their first dashboard in a product. Just think about the last time you successfully added a new habit to your arsenal. You most likely had a high motivation and ability to make the habit stick. If you look at the graph below, these are the keys to helping our users achieve a key outcome by using our products. Now, if you’re like most SaaS businesses, you hardly ever encounter users who sign up for your product with high motivation and zero learning curve. Let’s face it, most SaaS products take work to learn. And that’s totally fine! With that being said, you aren’t doomed if your users start off with a low motivation and find your product hard to use. It just means that your conversion rate won’t be as high as it could be. To bring your conversion rate up, I find it is helpful to know which scenario you play in so that you can implement the right strategy to help your users become successful. Later on in this article, I’ll break down how you can improve both the motivation and user experience for your users. For now, I want you to take a minute and identify the ONE scenario that resembles your business the most. This will come in handy later, I promise. 1) Scenario #1: Mission Impossible — Your user has low motivation and finds it hard, if not impossible, to use your product. 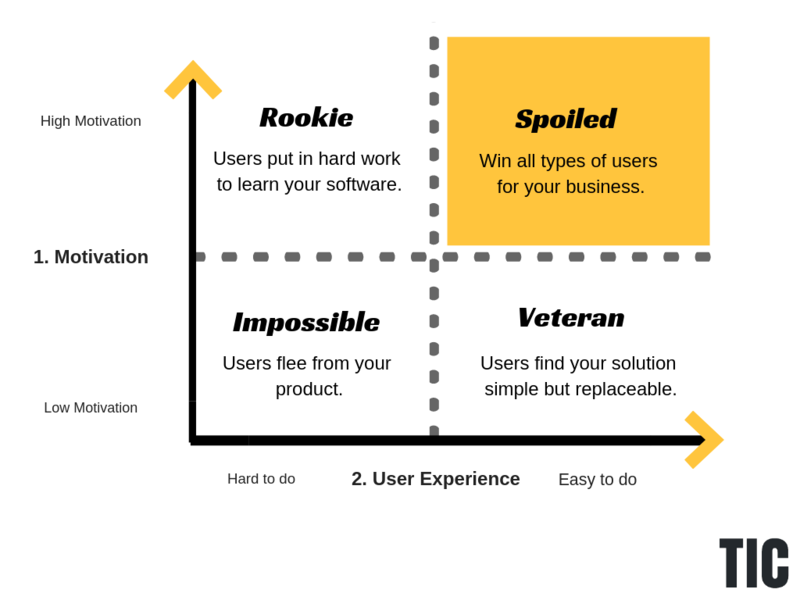 2) Scenario #2: Rookie — Your user has high motivation and finds it incredibly difficult to use your product. This scenario is often a luxury for a lot of companies. Often this scenario pops up when employees are forced to use your software or have no alternative solutions. 3) Scenario #3: Veteran — Your user has low motivation and finds it easy to use your product. This means your user will accomplish the target behavior easily but could flee at any sign of friction—or hunger. Who knows?! 4) Scenario #4: Spoiled — This is the outcome to optimize for. Your user has high motivation and finds it straightforward to use your product. This means that you’ll be able to help the greatest amount of people in your Total Addressable Market (TAM). I’m curious. What scenario resembles your business? 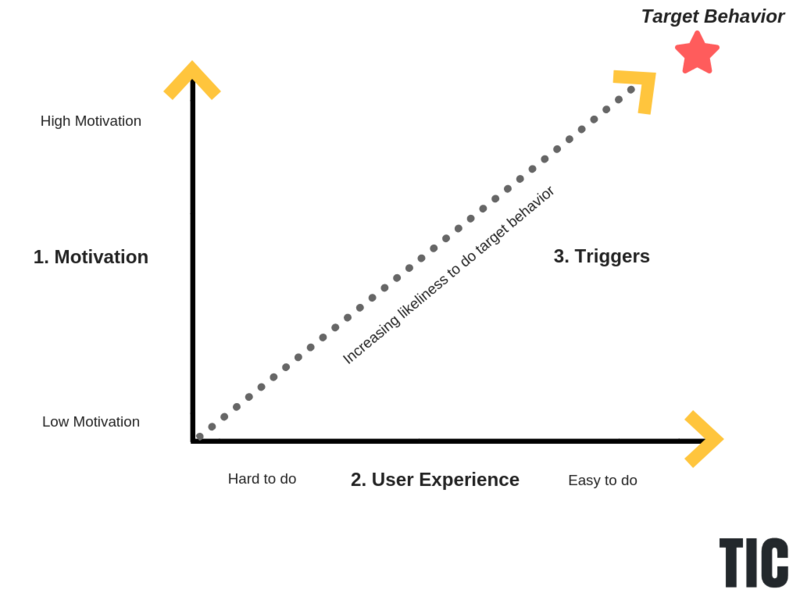 If you’re in Scenario 1-3, I’m going to show you how you can improve the motivation and user experience for your users shortly. If you’re in Scenario 4, bravo. So far, we’ve only talked about using Motivation and User Experience as tools to help new users adopt key behaviors in our product. Now, we’ll dive into how we can use triggers to help improve our conversion rate. Triggers increase the likelihood that someone will adopt a key behavior in your product. If your users have a strong motivation and ability, triggers can make your product sticky. However, if your users have a low motivation and find it difficult to use your product, triggers might actually backfire by annoying your users. Now, not all triggers are created equal — there are key difference between the external and internal. Both external and internal triggers are helpful for users to achieve and maintain a new target behavior in a product. External triggers are much easier to control. It could be as easy as sending out an email to remind someone to use your product, or targeting a conversational marketing playbook at them when they visit your website. Internal triggers can take much longer to form in someone’s mind, but are much more powerful. For example, if it’s Monday at work and you typically pull a marketing report to share with your boss, you login to your marketing tool and share your weekly report without thinking twice about it. If we look at the graph below, triggers allow us to increase the likelihood of someone adopting a new behavior. In the beginning of a user’s journey in your product you can rely more heavily on external triggers, but eventually you have to rely more heavily on internal triggers. Take Duolingo, for instance. As soon as you start learning a new language, you’ll receive daily reminders (i.e. external triggers) at a set time each day to learn the language. What Duolingo is trying to do is build a habit so that you eventually don’t need notifications to remember to check Duolingo — it becomes automatic (i.e. internal triggers). Just click on the section you find most relevant to your business. Motivation is one of the most nebulous concepts out there, but it really just boils down to understanding what your users care about. Motivation is incredibly important because if someone isn’t motivated to use your product, well, they’re just not going to use it, unless they have to. One of the easiest ways to lock down what motivates your users is to do customer research. Now, one of my pet peeves is when marketers say “do customer research,” but don’t tell you how. So if you don’t know, I created a free course for SaaS customer research. I give you all the templates, questions, and spreadsheets you need to do this stuff on your own. So, no excuses. Just to give you a quick comparison, Crazy Egg’s competitors have 29+ different buttons you can click on. This extreme focus has significantly boosted Crazy Egg’s conversion rate. If you want to go behind the scenes and see how the Crazy Egg team went about this experiment, they just published an impressive case study on what it takes to create a high-converting SaaS website. Will this be a good fit for my team? Regardless of what the objection is, one thing is for sure. If you don’t answer these objections, you bleed sales. James from GoSquared was kind enough to share an example of how he’s been able to tackle this problem head on, below. Checklists – Humans love checklists. They show us what we need to do, and how far along we are in the process of doing something. If I’m going to get all geeky on you, checklists employ the Endowed progress effect, which is a psychological phenomenon that basically boils down to this: the closer people think they are to completing something, the more likely they are to actually see it through. 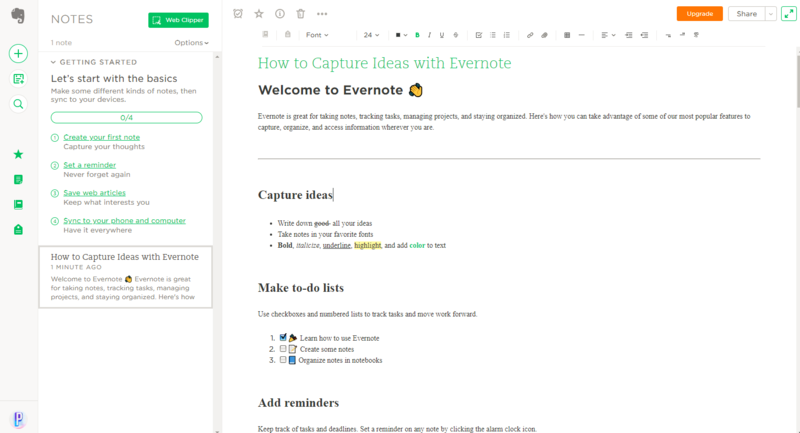 In the example below, Evernote uses a checklist to walk people through learning the product — and to highlight its unique value proposition. If you didn’t go through these 4 steps, you most likely wouldn’t know how Evernote is different than Microsoft Word or Google Docs — with the exception of a different UI. If you go through this checklist, you understand the pros of using Evernote vs. its competitors, and are more inclined to continue using it. If you want to apply this to your business, make sure to map your checklist items to the distinct advantages of using your product. 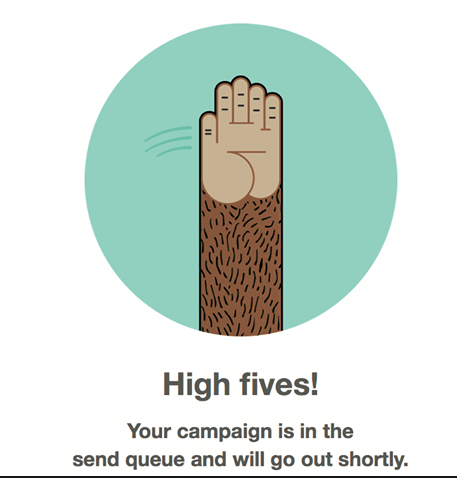 Celebrate Wins – MailChimp gives a virtual high-five whenever you send out a campaign. 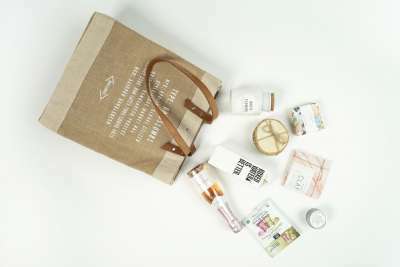 It’s a cute way to celebrate a small win you’ve been able to experience in the product. It also gives you the feeling that you’re doing something right. Focused Mode – Pipefy strips out everything that draws focus away from the single task at hand. Gone are the usual screen components such as the header, main navigation, and more. According to Intercom, 40-60% of users who sign up for a free trial of your software or SaaS application will use it once and never come back. That’s a lot of waste. Most often, what’s driving the vast majority of people away is that they don’t understand how to use your product and get value out of it. Now, we could try to dial up our marketing and do all we can to improve our user’s motivation before signing up for our product, but it’s often easier and more cost-effective to make the product simpler to use in the long-term. Without overhauling your entire product, I’ve outlined some of the most powerful tactics that my clients have used to double their free trial to paid conversion rate. Empty States – Have you signed up for a product only to find that it’s empty? There might be navigation, but there’s no data or anything useful for you to do with the product right off the bat. This scenario is very common for a lot of SaaS companies. Quite simply, you need to put that wasted real estate to good use. 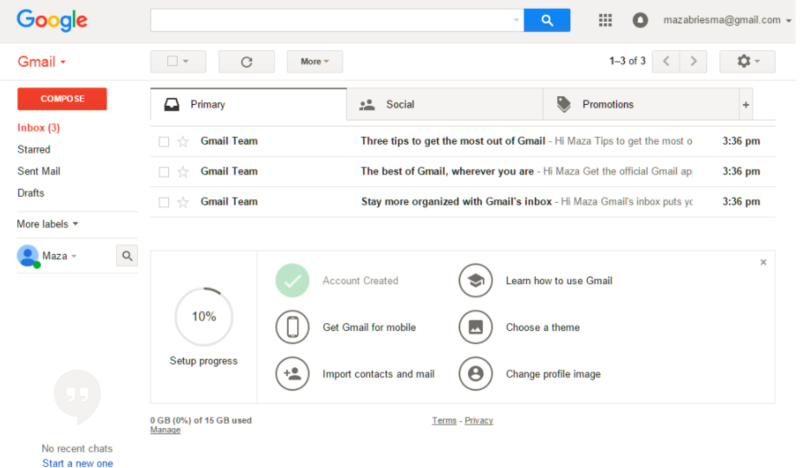 In Gmail’s example below, they guide you through the entire setup process in order. 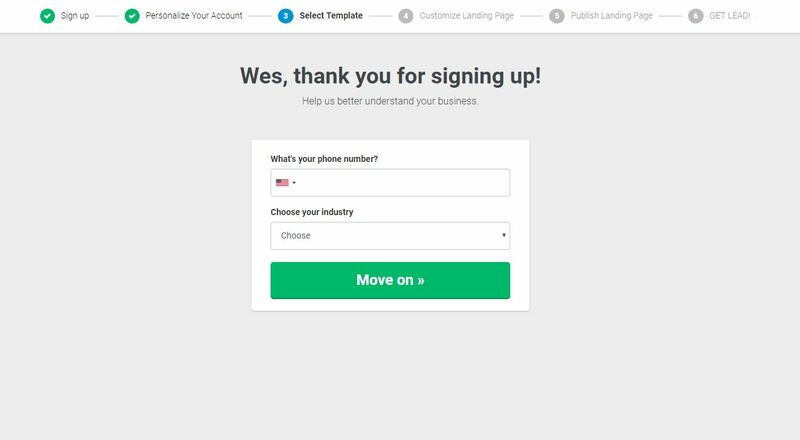 If you have a lot of empty space in your product when people sign up, this could be relatively straightforward to roll out. If you’re looking for other great empty state examples, here is a treasure trove of them. Hotspots & Action-Driven Tooltips – I see hotspots and tooltips as one of the easiest things to set up, especially if you’re using a product adoption platform. But be careful about getting too cue-happy – some products feel like you’re playing “whack a mole,” trying to speed through the entire onboarding experience. Pro tip: If you’re going to use Hotspots or Tooltips, take your user through a guided journey that leads to a specific outcome in the product. If you’re just walking people through every single feature, you’re wasting their time. 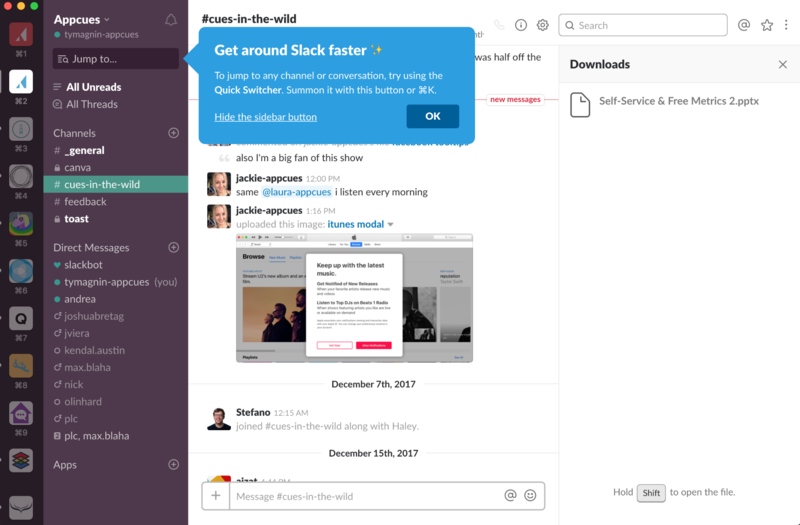 Slow Load – If your application takes a while to load, try adding humor or offering a helpful tip. In the example below, observe how Nimble takes peoples’ attention off the fact that their application takes a while to boot up with some playful copy. Add a Friend – Asking users who sign up to add their colleagues makes your free trial more sticky. And in the case of Slack and Asana, the product becomes exponentially more valuable. Intent-Driven Onboarding – This one doubles as both an acquisition and activation play! 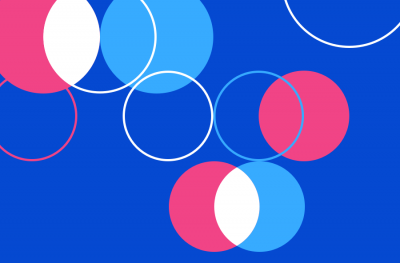 Canva has created an amazing resource for how to create posters. The CTA directs people to the home page, and once they sign up they are immediately directed to a poster image and given a bunch of great examples to help accomplish the job-to-be-done. You can apply this approach to your B2B SaaS application by identifying what core jobs-to-be-done your product accomplishes, creating amazing content to solve that problem, and then having a CTA direct people to tackle EXACTLY that problem using your product. Make it easy to upgrade – This sounds straightforward, but you’d be surprised by the number of businesses that make it really hard to upgrade their accounts. In order to make the upgrade decision easy for someone, you need to align your value with their upgrade path. Proactive Customer Success – Consider the case of RapidMiner; a SaaS app for data science teams. The company tracks user error rates and notifies its Customer Success Manager (CSR) if a customer exceeds a predefined threshold of errors within a single hour. The CSR then proactively reaches out to the customer. By helping customers understand how to avoid errors, and instead, best use RapidMiner to achieve their goals, the company minimizes both support requests and churn rates associated with user frustration. Lifecycle Emails – These emails pull your users back into your app. The end goal of lifecycle emails is to eventually not need them, in the same way that you don’t permanently install bicycle training wheels. The point is to help see the adjustment period through, then let the “real” use take over. For software, that means habitual and unprompted use. To accomplish this, lifecycle emails should be set up to nudge people along through the most critical inflection points of the journey — from signup to thriving user. 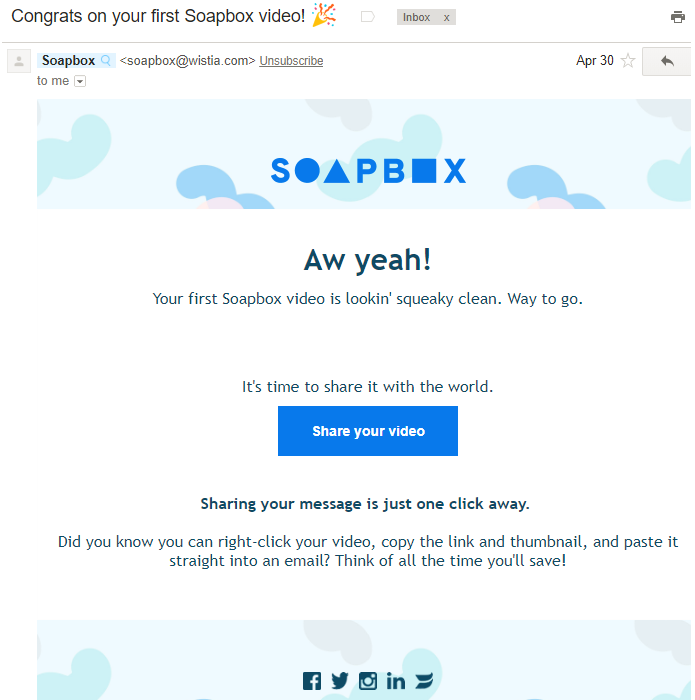 This is a usage tip email that was triggered the second I created my first video using Wistia’s Soapbox video tool. The tip itself is timely and helps me get the full use out of the product. 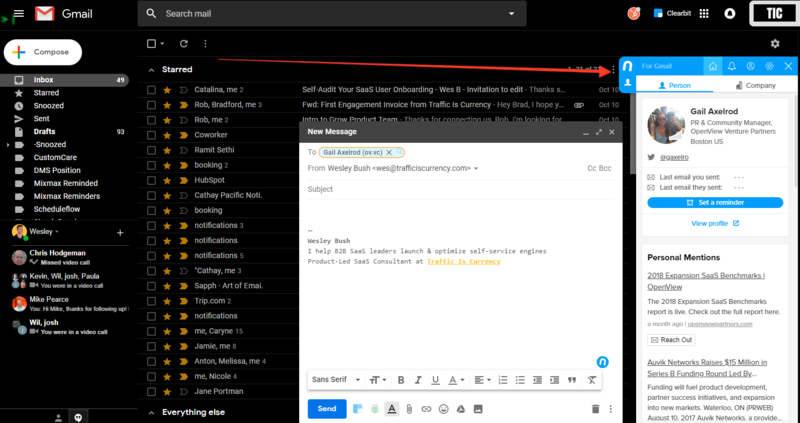 Sales Touches – These emails could be sent out as a “success meeting” to celebrate the user achieving an aha moment, to help the user get more value out of the product, or to invite inactive users to an orientation demo (e.g. 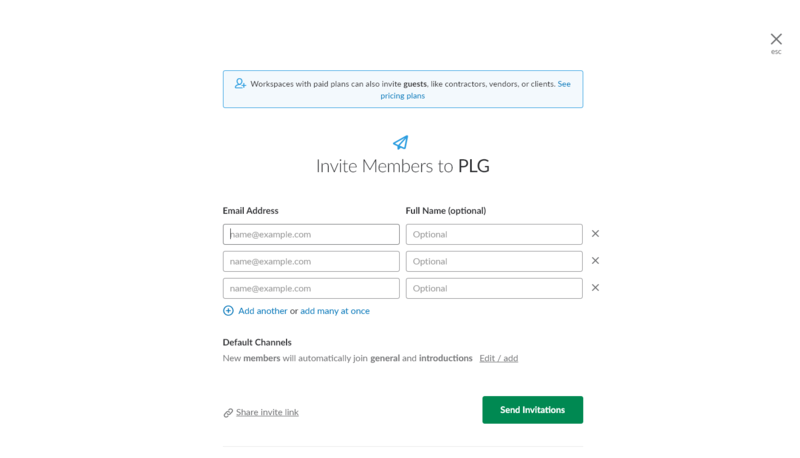 “30-minute crash course on how to share documents and collaborate between teams”). 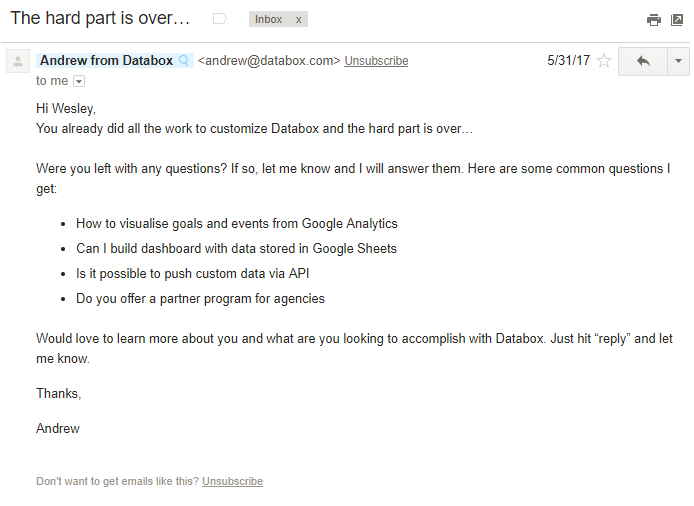 This is an automated email from Databox that starts the conversation where I left off in the product, and shows a helping hand when I might need it most. and suggest areas to explore further. 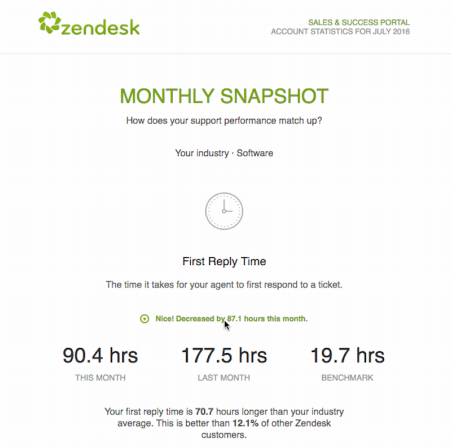 Zendesk sends a usage review email each month to show you how you’ve been able to reduce your support times since you began using their support ticketing platform. Regardless of your product, what you want to do is showcase your value metrics in this email. That way you’re always reminding customers why they’re paying you — and why they should continue to do so. 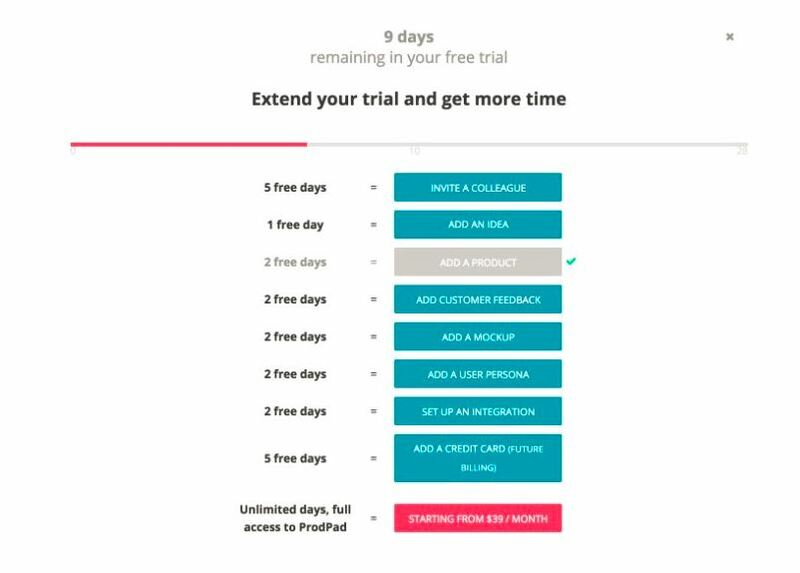 Expiry Warning – Expiry warning emails are common for free trials, but remain a powerful way to motivate users to upgrade (if they’ve received value from your free trial, that is). This is an old example from Basecamp; it simply shows that someone’s time is up in a trial, and nudges them to upgrade. One thing I would recommend adding to this email is the benefits of the product. 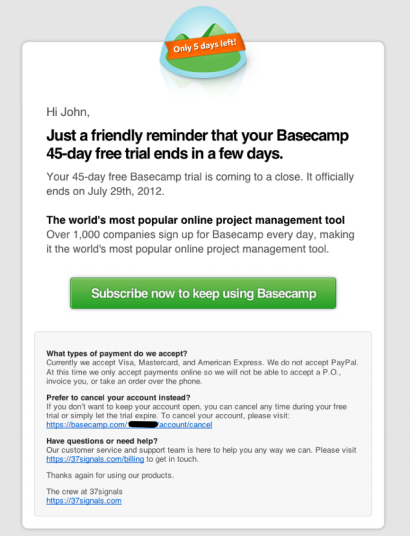 Basecamp missed the mark on reminding people why their product is worth buying, in my opinion. Let’s face it. The majority of people aren’t going to convert when they sign up for your free product. Gamified Free Trial Extension – If people want to extend their free trial, you can give them a certain number of actions to do. 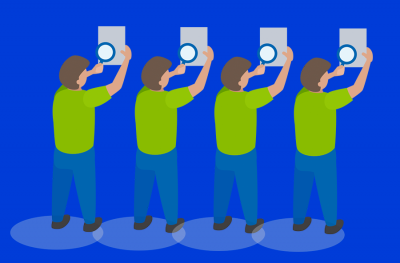 Ideally, you’d have these actions line up with accomplishing a key outcome in the product. Freemium Downgrade – If people sign up for your free trial but don’t upgrade, you can downgrade them to a forever free plan with a limited product set, and use it as free advertising. In the case of Nudge.ai, they’ve been able to enrich my contacts in Gmail, as well as earn a sizeable portion of email real estate. If you want a low cost way to advertise your product to your target audience, this may be a great option for your business. Post-Trial Survey – Include a survey at the end of your onboarding process that asks people what you could have done better. 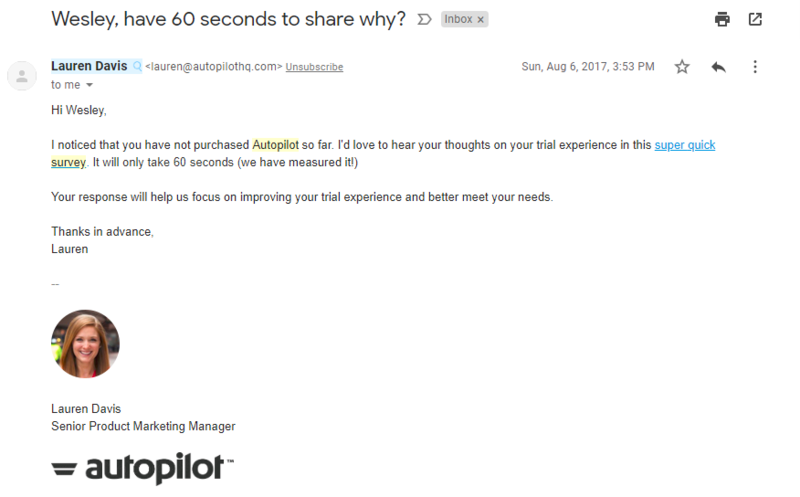 What I like about Autopilot’s approach is that if you fill out their survey, you automatically get enrolled in a nurture or sales program depending on your response. For instance, if you tell AutoPilot that it’s too complex, an onboarding specialist can then help you get up-to-speed in the product. Problem solved! Re-evaluate your product-led model – If you’ve tried everything above and are still not seeing a great free to paid conversion rate, you might be using the wrong product-led model. When we’re trying to convert more free users into paying customers, it’s easy to focus on tactics. If you run enough experiments, I guarantee that you’ll eventually find one that works. But, if you don’t want to waste valuable resources and time, it pays to use a systematic approach to help your users adopt a new behavior in your product. In my experience, using the Fogg framework below has helped me prioritize what tactics to employ. For instance, if people find the user experience challenging but have a high motivation to use the product, I can simply improve the user experience to improve adoption. Or if people aren’t motivated to use the product but find it easy-to-use, I can then focus on tactics that will help improve their motivation. By using the Fogg framework, you can quickly prioritize what levers you need to pull in order to help free trial users adopt a new behavior. When it comes to converting more free users into customers, there’s only one silver bullet – It’s when a user experiences the key outcomes your product enables them to do. Once they experience that key outcome, the most logical next step is for them to upgrade to a paid account. 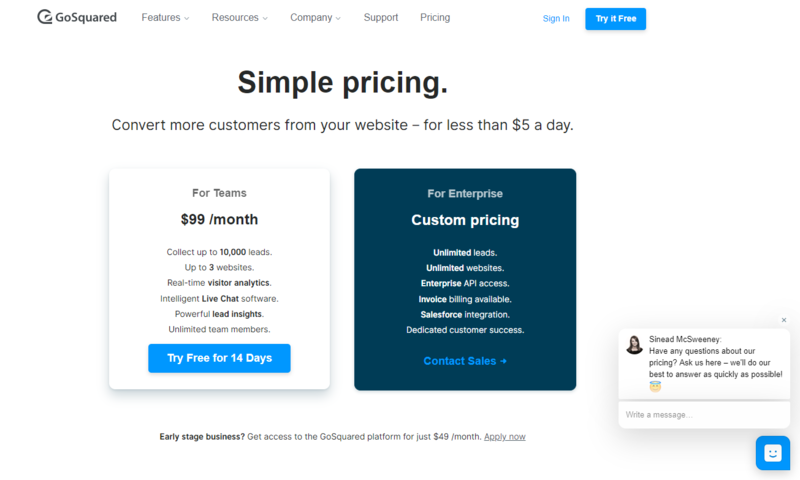 By focusing on helping your users experience the value of your product, you’ll simultaneously be able to improve your free trial to paid conversion rate. Win-win! 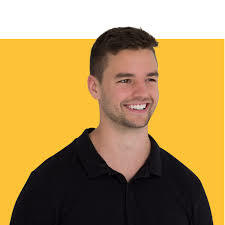 Wes Bush helps B2B SaaS leaders launch and optimize free trial and freemium models at Traffic Is Currency. You can find his free course about learning who your best customers really are—and how to find more of them—at doubleyourtrials.com.